Cheshire East Council has secured yet another successful prosecution of two more benefits cheats who fraudulently claimed more than £4,800 of taxpayers’ money. Both offenders have been sentenced by magistrates and will now have to repay the illegally-obtained benefits in full. Lucia Chimalova, 34 and Michal Chimal, 35 both of Norton Street, Macclesfield appeared before South and East Cheshire Magistrates Court on 21st July. Each pleaded guilty to one charge of making a false representation to obtain Housing Benefit and Council Tax Benefit. Magistrates sitting at Macclesfield heard that Lucia Chimalova had claimed Housing Benefit and Council Tax Benefit from November 2012 on the basis that she was a single person on a low income and needed financial support from the Council to help pay her rent and Council Tax having separated from her husband Michal Chimal. Chimalova actively maintained her claim as a single person for nearly 18 months before investigators from Cheshire East Borough Council’s Benefit Investigation Team discovered that Michal Chimal had been living with her and providing financial support. The court was told that Chimal had lived with Chimaolva continuously and that the claim for benefits made in November 2012 was false. In submitting and maintaining the false claim Chimalova and Chimal pocketed £4801.32 in Housing and Council Tax Benefit that they had no entitlement to. In addition to having to repay in full the overpaid benefits magistrates ordered Chimalova to complete 180 hours unpaid work and Chimal was sentenced to an 18 week curfew operating from 5pm to 5am daily. Additionally Chimalova and Chimal were both ordered to pay costs of £675 and a victim surcharge of £60 each. Cllr Les Gilbert, Cabinet member for communities, said: “This is another example of how Cheshire East Council will not tolerate benefit cheats. During this year, 38 people have been prosecuted, 29 issued with administrative penalties or fines and 28 more cautioned for benefits offences and Blue Badge misuse. Over 85s living alone in Cheshire East will get free telecare support while many other older people may find their charges for social care packages reduced. The review of charges and services was carried out following a public consultation exercise earlier this year and the recommendations were approved by Cabinet this week. Cheshire East Council plans to implement the changes later this year. Cllr Janet Clowes, Cheshire East Council Cabinet member for adults, health and leisure said: “As a residents first authority we are concerned to protect the health and safety of our older people and those people requiring personal care support and assistive technology. The Council has 5,500 residents receiving some home care assistance such as washing, dressing, cooking and eating. The review of charges and services is a result of new guidance to local authorities contained in the Care Act, which came into force in April 2015. The Act also empowers councils to charge carers for some services they receive from their local authority. However, Cheshire East has chosen to waive this option so that carers do not have to pay and instead receive full support from the council. Councillor Clowes said: “Many of us will need care and support at some point in our lives and most of us will pay at least something towards the cost of our care. “Everyone’s individual circumstances are different and so we will determine this on a case by case basis through financial assessment. “We have chosen to reject the discretionary power to charge carers as we feel they should not be further burdened with extra costs when looking after a loved one. “Although some people may find they will pay more for the care they receive, over 4,000 residents – a significant proportion of the residents we support – will be paying less or will see no change in the fees that they pay. “And over 85s living alone will receive free telecare assistance in their homes so that they can be better protected and not feel that it is a service they cannot afford to have. The Council’s Adult and Social Care team carried out an extensive consultation and public engagement exercise at the beginning of the year. The key recommendations relating to free telecare for over 85s and no charges for carers, came from an all-party task and finish group sub-committee and were endorsed by Cabinet. The review is intended to achieve fairness and equity in the charging system and to ensure that no one is financially disadvantaged because of their needs. The National Fraud Intelligence Bureau has been alerted to an Advanced Fee Scam whereby mainly persons of Asian descent are targeted by the suspects who cold call the victim, purporting to be from the Home Office UK Visa and Immigration department, and inform them that a case has been received by the department against the victim, sometimes with a request to deport. A request is then made for money to be paid mainly by Ukash vouchers or MoneyGram. Occasionally, money is requested to be paid into a bank account. Also on occasion, victims have been asked to provide bank account details. A telephone number is given which is a genuine contact number for the Home Office to give the call a form of legitimacy. The UK Visa and Immigration department would not make any request for payments in this form. Any unsolicited contact followed by a request for an advance payment/fee is a good indication that someone is trying to defraud you. Do NOT pay any fees unless you are 100% of what you are paying for!!! Cheshire East Council is aiming to make big savings from empty buildings and unneeded sites by selling off surplus assets – to reinvest in frontline services. The Council is questioning whether it should continue to own some of its buildings as more and more services are delivered by ‘working without walls’. A new Strategic Asset Management and Delivery Plan, backed by Cabinet today (July 21), calls for the creation of a Corporate Property Board to test whether assets should be retained or sold off as surplus to requirements. The plan sets a target of raising £25m from asset sales in 2015/16 and calls for a rationalisation programme to save a further £1m in business rates. Council Leader Councillor Michael Jones said: “Property is the Council’s second largest cost after the staff, so future efficiency savings must use assets as a driver for change. Councillor Don Stockton, Cabinet member in charge of regeneration and jobs, said: “We want to rationalise our assets base by adopting a more strategic approach across the whole or Cheshire East. “Our property assets need to be geared to meet the Council’s objectives of putting residents first by supporting community services in a sustainable and cost-effective manner. A report from Caroline Simpson, the Council’s executive director of economic growth and prosperity, said the new plan, which will replace one drawn up in 2009, was needed to reflect the changed circumstances in which the Council is now operating. She said the Council would continue to use the innovative Engine of the North joint venture, which has a significant role in rationalising the Council’s estate but would review its current structure to give it sufficient capacity ‘to drive forward and deliver the challenging agenda of asset rationalisation and asset release’. The Council owns more than 2,350 land and property assets worth a total of more than £485m, which cost £17m per annum to manage. It also has an annual capital building programme worth between £15m and £20m. The strategy acknowledges that many of the diverse land and property assets held by the Council, such as offices, leisure centres, libraries, residential accommodation, and cultural venues are an important part of the Borough’s economic and social fabric. It calls on the Council to reduce running costs and improve the environmental credentials of its buildings and to encourage service providers to co-locate and collaborate. The plan says the Council should work more closely with other bodies by creating a Public Sector Property Board to help with strategic discussions about service delivery. Cabinet today approved the plan and authorised officers to implement it. Cheshire East Council is seeking the views of local residents and cyclists on the way forward for cycling across the Borough. The Council has recently launched its draft cycling strategy and would like feedback from residents on its vision for the future of cycling in Cheshire East. The draft strategy has been written following initial engagement with local cycling groups, which has been very positive in helping to shape this document. The survey, which will take about five minutes to complete, can be done online at www.cheshireeast.gov.uk/cycleconsultation . Paper copies are also available from various locations including all Cheshire East libraries and customer service centres. The consultation runs from July 13 until September 14. The vision for cycling in Cheshire East, outlined in the draft cycling strategy, is to enable more people to cycle in safety, more often and with confidence for everyday and leisure journeys. The aim is to promote the health and wellbeing of residents and to help improve the quality of where we live – as well as support economic growth. The team at Cheshire East is keen to hear from everyone, whether you ride for occasional leisure or regularly as part of a commute, or even if you don’t ride at all but might like start using your cycle. Councillor David Brown, Deputy Leader and Cabinet member for highways, said: “We’ve put a lot of work into this draft cycling strategy and it’s important we get people’s views on it. As a Council we are committed to helping our residents live well and for longer as well as making Cheshire East a green and sustainable place to live. When all the comments are collated, all feedback will be taken into account in the final version of the cycling strategy, which will be available online at the Cheshire East website. Cheshire East Council is to trial electric vehicles in a bid to boost greener transport and cleaner air. Councillor Les Gilbert, the Cabinet member for communities, yesterday (July 20) authorised officers to seek a 75 per cent Government grant to fund replacing its four staff ‘pool’ cars with clean, green, more reliable and cheaper-to-run electric vehicles. And the move will save local Council Taxpayers money too. A report to Cllr Gilbert revealed hi-tech electric cars will cut vehicle running costs by nearly a third, reduce maintenance bills and also improve uptake by staff because of improved quality and reliability. The Council will also encourage staff to use the new electric pool cars, which the report says would save the Council about £5,284 per vehicle over five years, compared to replacing them with conventional vehicles – meaning a total saving of more than £21,000 in the period. Cllr Gilbert said: “This decision is really good news for the environment and puts this Council in the vanguard of encouraging modern, greener transport across the Borough and beyond. “It is also about putting our local residents first and tackling issues at their root – as electric vehicles produce zero emissions (at the tailpipe) and help improve the air quality of our towns and thus the health of our local communities. The Council also recently secured a separate Office for Low Emission Vehicles (Olev) grant to provide electric vehicle recharging points for local road users, as well as the Council’s proposed electric fleet. Electric vehicle (EV) technology is relatively new but the number of electric vehicles in the UK has risen in the last two years from 3,500 in 2013 to 15,500 in 2014 – and the expectation is for that figure to keep on growing and growing. One of the biggest barriers to people taking up this technology is the lack of a public charging network and the Council receives regular enquiries about EV infrastructure. The Olev grant has enabled the Council to provide six 50kV rapid charging units – two each in car parks in Congleton (Princess Street), Wilmslow (South Drive) and Nantwich (Love Lane). The units are operated by a third party. These units can recharge a vehicle from ‘empty’ up to 80 per cent charge in as little as 20 minutes. The sites have been chosen as they are close to destination points such as supermarkets and coffee shops, where drivers can wait for their vehicle to charge. There are also five 7kV fast-charging units located at Council offices at Macclesfield Town Hall, Westfield’s in Sandbach, Delamere House in Crewe and the Library Car Park in Crewe (two units). The latter can also be used by members the public. Based on 8,000 miles a year usage, the running cost (fuel only) of an electric vehicle is 3p a mile compared to 8p a mile for conventional fuel vehicles. The days are numbered for rowdy, anti-social people who inflict misery on communities in Cheshire East including the use of drugs in public places, legal highs, alcohol abuse, noise nuisance and joy riding. Cheshire East Council’s communities and enforcement teams are poised to take advantage of new powers to apply Public Space Protection Orders and issue on-the- spot fines to individuals who breach an order. The new measures, introduced by the Government last year to help local authorities and police to crack down on troublemakers, could be applied in at least five identified areas in the Borough, where residents have repeatedly complained about regular anti-social behaviour. The Council may also invoke powers to close premises it considers to be the source of public nuisance and disorder, under proposals set to be voted on at a Cabinet meeting next week. The new powers under the Anti-Social Behaviour Crime and Police Act 2014 will eliminate the need for court proceedings or civil action and permit Cheshire East to empower its officers to take immediate action. This could apply to environmental protection officers, trading standards, planning, housing officers and even park rangers. Police will have the same powers under the Act. This news will bring relief to long-suffering neighbourhoods where residents have had to put up with car racing in car parks, open drug taking, loud music and intimidating behaviour by gangs. The Council intends that conciliatory discussion and mediation in some instances may help to avoid the need for tough action. However, five parts of the Borough have been identified as potential targets for the new Public Spaces Protection Order. These are in Poynton, Macclesfield, Crewe (2) and Alsager. The same powers will also enable the Council to tackle the growing public concerns surrounding psychoactive substances, otherwise known as legal highs, both in public open spaces and shops. Further legislation, currently going through Parliament, will also enable the Council and the police to take action against anyone involved or suspected of being involved in the supply of psychoactive substances. Cheshire East Council leader Michael Jones said: “These are tough new measures which we intend to enforce robustly on behalf of the decent residents and families of Cheshire East who do not wish to have their lives disturbed day after day by gangs and individuals who have no thought for others. Cllr Les Gilbert, Cabinet member for communities, said: “We are a ‘residents first’ authority and we believe in doing all within our power to protect our residents from anti-social behaviour and the distress that can cause. Cheshire East Council is working closely with Cheshire police and other partners to draw up effective protocols in order to progress a timetable for introducing the new powers at the earliest opportunity. SPECSAVERS Crewe is warning people about the dangers of wearing sunglasses that do not provide adequate UV protection and is urging sun-seekers to stay safe this summer. Michael Elleray, optical consultant at Specsavers in Market Street, says: ‘We talk to people about their eye health every day, and most simply do not consider sunlight as a factor that may cause serious, irreversible damage. The team at Specsavers Crewe can check the suitability of sunglasses this summer and offer advice and answer any questions regarding summer eye health. By raising awareness of the importance of choosing the right sunglasses, staff hope that the number of people damaging their eyes will be reduced. Fund-raising garden party in Wistaston, South Cheshire. A Garden Party in aid of Diabetes UK took place on the evening of Wednesday 8th July 2015 at 6 Westfield Drive, Wistaston. Sheena & Ken Sambrook once again allowed their house and front & back gardens to be used for this annual event, which always takes place on the second Wednesday in July. Sheena and Ken who also organised the event are President and Treasurer respectively of the Crewe and South Cheshire Voluntary Group of Diabetes UK: http://crewe-and-south-cheshire.diabetesukgroup.org/ . Entrance was 50p and included a coffee or tea, whilst strawberries, cakes, greetings cards and plants were also available for sale, along with bring & buy and raffle stalls. Over eighty people attended over the course of the evening, which included Mayor of Cheshire East Council, Councillor Hilda Gaddum, along with the recently crowned Wistaston Rose Queen (Rachel Astbury) and her Attendant (Chelsea Horne). Ken Sambrook said, "We would like to thank everyone who has supported the event. £690 was raised which is a fantastic total." Ken we are always amazed at the wonderful support we receive from friends in the local community that makes the evening such a great success enabling us to continue to support diabetes uk. All proceeds will go to support newly diagnosed children and adolescents with diabetes to allow them to attend one of several educational residential holidays held around the United Kingdom. The residential allows them to integrate with other young people with diabetes and share experiences, which may assist them to learn to control their condition. On average the Crewe and South Cheshire Voluntary Group raises £7,500 per year for Diabetes UK. The next local event in aid of Diabetes UK is a Coffee Morning at Nantwich Parish Rooms (St Mary's Church, Church Lane, Nantwich) on Saturday 25th July 2015, 10am to 12 noon. The RHS Flower Show at Tatton Park is set to be another great success with over 300 delicately-created displays and garden features. And once again local organisations, including Reaseheath College and Cheshire Gardens of Distinction, have dug deep into their wealth of talent and skills to create potentially award-winning designs. The five-day event begins at Tatton Park next Tuesday and organisers are anticipating attendance figures to top 80,000. Sustainability and greening the grey parts of Britain are the main themes of the show with a message that too many gardens – front and back – are being concreted over. Garden designers, students and volunteers have been busy for several days preparing their displays which are situated in 29 themed gardens across the site. The team from Reaseheath College, Nantwich, are putting the finishing touches to their displays, one of them using old bottles to emphasise the sustainability message. And Tatton Park’s own garden team are looking east for their inspiration. The park is famous for its Japanese garden - but it’s China that provides the theme for the team entry this year. The ‘Mother of Gardens’ showcases the great botanical gift China has given the world. Gardens would be very different places otherwise and Tatton’s is no exception. The team have produced a Chinese house with dove tree, bamboo, hibiscus, kiwi fruit and buddleia and it is certain to be an eye-catching attraction for the show’s many visitors. The staff from Connecting Cheshire are also creating their own exhibit, drawing on the organisations work delivering fibre optic broadband to homes across Cheshire for their design theme, while aspiring young designers are putting their talents on show. Councillor Les Gilbert, Cheshire East Council Cabinet member for communities, said: “We at Cheshire East Council are extremely privileged to be able to host this wonderful event at Tatton Park, an award-winning visitor attraction. “It truly represents the Chelsea of the North and we hope that all gardening enthusiasts will come along. “But you don’t have to be a gardener to enjoy the RHS Tatton experience. “Tatton Park is a wonderful venue for this event and there is so much more to do once you are here. “The RHS Flower Show provides us with an opportunity to showcase our own amazing gardens as well as the many other historic and fascinating features of Tatton Park. “We are very pleased that the Royal Horticultural Society has once again shown its commitment to the Borough and Tatton. Caroline Simpson, Cheshire East Council executive director of economic development and growth, said: “It is a joy to see the RHS Flower Show become a regular feature in our summer calendar in Cheshire East. RHS Show manager Chris Hulewicz, said: “The RHS Flower Show at Tatton Park is known for its inclusive and supportive approach to gardening and landscape design. “With all of these clever designs, as well as an array of allotments and Grow Your Own exhibits on display, we hope visitors will leave the show motivated to turn their own patch of grey Britain green. In addition to the many professionally designed displays, there are also entries from schools and charities. The BBC is covering the show with live broadcasts and a number of celebrity gardeners and designers will be attending. Cheshire East Council is flying its flags at half-mast as a mark of respect for the person known to have died in the Wood Flour Mill tragedy at Bosley near Macclesfield. Flags on municipal buildings in Crewe, Macclesfield and Sandbach have been lowered and the Leader of the Council, Michael Jones is urging all other businesses and organisations in Cheshire East and Staffordshire Moorlands, that have a flag to do the same. Teams from the Council are continuing to work closely with the community and the various agencies to offer and provide support, help and guidance wherever required. Rescue teams are still trying to locate three other missing people following Friday’s explosions and fire. Anyone in need of help and advice can call the Council helpline number 0300 123 5034. At least two offers of employment have been made by local companies and the Council is working hard behind the scenes to identify other potential employment opportunities for some 50 people who will have lost their jobs as a result of the incident. A drop-in centre has been set up at the Bosley St. Mary’s Primary School, Leek Road, Macclesfield SK11 0NX where members of the community can seek help and advice about benefits, employment opportunities and housing. A woman faces a bill for more than £15,000 after she claimed benefits while keeping it secret that her live-in partner was supporting the family financially. Emma Bebbington, 39, claimed housing benefit and income support for nearly two years after failing to disclose that her partner was living with her. By falsely claiming that she was a lone parent on a low income, she received £14,785 before her lies were uncovered by Cheshire East Council’s benefit investigations team. Bebbington, of Gallantry Bank, Bickerton, Malpas, admitted three charges of failing to tell Cheshire East Council of a change in her financial circumstances while she claimed housing benefit, Council Tax benefit and Council Tax support. South and East Cheshire Magistrates, sitting at Crewe (on July 8) heard that Bebbington had maintained these benefit claims until December 2014. It was then that Cheshire East Council’s fraud investigation team uncovered Bebbington had a partner who had been living with her and supporting her financially since February 2012. Magistrates sentenced Bebbington to a 12-month community penalty and ordered her to do 80 hours’ unpaid work. She was also ordered to pay £250 costs and a £60 victim surcharge. In addition, Bebbington will have to repay in full all the monies she fraudulently obtained. Councillor Les Gilbert, Cheshire East Council’s Cabinet member for communities, said: “Cheshire East is an enforcing Council and we are committed to stopping fraudsters from helping themselves to taxpayers’ money to which they are not entitled. “We have a zero-tolerance policy towards benefit fraud because we are determined to ensure that the benefits system works for people who really need help. “So far this year, our benefit investigations team has identified £772,492 in fraudulently claimed housing benefit, Council Tax benefit, jobseekers’ allowance, income support and employment support allowance paid by Cheshire East Council and the Department for Work and Pensions. “All of these monies are repayable by the offenders and this Council will ensure they are repaid. “During this year, 36 people have been prosecuted, 23 issued with administrative penalties or fines and 26 more cautioned for benefits offences and Blue Badge misuse. “Anyone who thinks they can get away with claiming benefits they are not entitled to is making a very big mistake – and they will find themselves worse off as a consequence. Cheshire East Council is opening a drop-in facility for people affected by the incident at Bosley from 2:30pm today in Bosley St Mary’s Primary school, Leek Old Rd, Macclesfield, Cheshire SK11 0NX. Council specialists will be on hand to provide advice and support on matters related to housing, employment and benefits. In addition, the Department for Work and Pensions (DWP) will be on hand to provide advice. The Council has been working closely with the community to successfully provide accommodation for those families who have been displaced by the disaster within the village and its immediate area. Cheshire East Council is also working with Staffordshire Moorlands Council to ensure residents who live over the border but work at the site, are fully supported. Proposals for new ‘zones’ to nurture the next generation of hi-tech science sites have been put to Ministers by a group of top industry and public sector leaders – including Cheshire East Council Leader Michael Jones. The group has been developing an innovative new policy to support the life science industry. It follows a meeting with Minister for Life Sciences George Freeman earlier this year. The report of the group, chaired by Cllr Jones and drawn from across the country, proposes new Science Opportunity Zones – which would be applied to the most successful and promising life-science sites across the UK. The new zone status would be a new step in the partnership between industry and government to support the growth of the life-science sector and builds on many of the strengths of the existing Enterprise Zone programme. The report reviews experiences from the development of leading life-science sites across the country and considers how the status could be used to support them by mobilising key stakeholders, facilitating planning, attracting investment and supporting the growth of small and medium-sized enterprises (SMEs). The proposals come as Cheshire East Council last week welcomed news of further Government investment in the bioscience industry at Alderley Park. After submitting the report, Cllr Jones said: “Given our recent experiences in successfully supporting the next chapter of growth at Alderley Park, we have been able to work with colleagues from industry and other local authorities to look at the collective lessons we have all faced and to look at the best examples from other countries. “Science Opportunity Zone status is a way that we can make sure that our best life-science sites are able to grow and that, crucially, they can compete with the very best sites globally. “I commend the work of my colleagues from the private sector and local authorities in Kent and Dover for their support in developing these exciting proposals. The Chancellor, George Osborne MP, unveiled a £5m fund to kick start a new research programme in pharmaceuticals and technologies at Alderley Park when he visited the research centre last week. Cheshire East Council has a 10 per cent stake in the Manchester Science Partnership which aims to build on Alderley Park’s international reputation as a centre of excellent in the world of bioscience and life science research and development. The Sandstone Ridge Trust is hosting a 3 day event at Beeston Castle to celebrate 25 years of the CBA as part of this years festival of Archaeology. Visitors can explore the prehistory of Beeston Crag with a guided tour of the site, whilst learning about Cheshire during the Stone and Bronze age’s with costumed living history displays.Hands on ancient crafts workshops suitable for all the family include stone carving and casting. Displays throughout the day on 21st, 22nd and 23rd July from 11 am to 4 pm with guided tours of the site at midday and 3 pm. Usual admission charges to the castle. The Trust’s contribution to the festival is a legacy event from the previous Habitats and Hillforts landscape partnership .You can learn more about its work and current project ‘Ridge, Rocks and Springs’ whilst exploring the prehistory that lies beneath the iconic medieval castle at Beeston. Costumed living history displays bring the distant past to life with replica tools and everyday items from prehistory.Youngsters can discover artifacts in our sandbox excavation or have a go at carving a mold for a cast replica axe head. Ever had the urge to scratch your name? Then come along and feel free to add to our graffiti stone or carve a letter, make a cord or start a fire! A great day out to kick start the summer holidays with a mix of crafts, experimental archaeology and discovery set among the stunning views of the Cheshire Ridge. We have made significant progress in recent years on improving the safety of residents and businesses across Cheshire, Halton and Warrington. Our previous four-year strategy enabled Cheshire Fire and Rescue Service to deliver savings of nearly £5 million between 2011 and 2015, while still maintaining the overall downward trend in incidents and emergencies. The challenge over the next five years will be even harder as it becomes more difficult to maintain improvements in community safety at the same time as the need to make savings increases. A toddler from Ellesmere Port was left badly burnt after a candle set light to her dress. Her mother now wants to warn other parents of the danger of using candles around children. The general rule is ‘if it looks too good to be true then it probably is.’ Designer products sold at heavily discounted prices are an immediate sign that something isn’t quite right. Sign up to Action Fraud Alert at https://www.actionfraudalert.co.uk/ to keep you updated with what’s going on. Cheshire East Council has ramped up its crackdown on ‘sky lanterns’ and is to ban them from all licenced events in the Borough. Cabinet member for communities Councillor Les Gilbert is set to ban the launch of candle-lit ‘Chinese’ lanterns as part of the conditions of any hire and event licences granted by the authority. At a portfolio holder meeting next week (July 20) he will also remind people and shopkeepers of the dangers posed by these airborne hazards. ‘Chinese’ or sky lanterns consist of a paper-covered wire or bamboo frame and an open flame heat source which can float in the sky for long distances. When they land they can pose a serious threat to livestock, property and farm machinery. The burning lantern remnants can start fires, endanger lives, destroy property, distress wildlife, pets and farm animals and cause unsightly littering. Councillor Les Gilbert, Council Cabinet member for communities, said: “These lanterns are a menace and causing real misery to farmers, their livestock and wildlife. “Cheshire East is an enforcing Council that puts local residents first. We have listened to the concerns of local people and will impose a ban on sky lanterns being launched from any of the events licenced by the authority. “I would also remind the public of the dangers sky lanterns pose and ask for their vigilance and support to protect our local communities from the stress and negative impacts of this thoughtless fad, which can do so much harm. The Council’s trading standards officers will also pass on the message to shopkeepers that they should promote an alternative to sky lanterns – and inform them they are banned from Cheshire East -licenced events. Keith Brooks, Cheshire Fire and Rescue Service’s head of protection and prevention, said: “Cheshire Fire and Rescue Service does not support the use of sky lanterns and asks members of the public and event organisers to refrain from using them. Landowners have called for a ban on sky lanterns in the UK following cases of livestock being injured or killed from eating lantern parts or getting entangled in the wire frames. The Chief Fire Officers Association called for an urgent review on their use following a huge fire in Smethwick, West Midlands, in 2013, which took 200 firefighters and 39 fire appliances to control and extinguish. Video footage showed a sky lantern was the cause. Spain, Malta and Austria have already banned the use of sky lanterns. Tesco stopped selling sky lanterns in 2012. 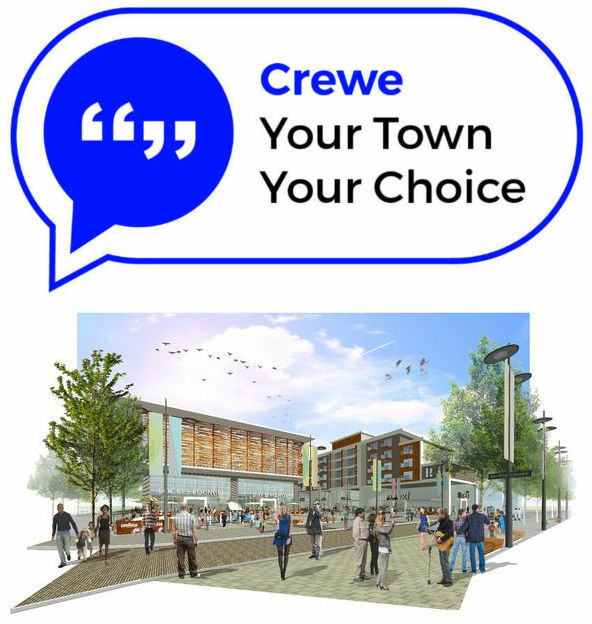 Residents and businesses turned out in force for the first ‘Your Town, Your Choice’ consultation events in Crewe this week. More than 85 suggestions were put forward by visitors at the residents’ event at Crewe Lyceum on Monday afternoon and by the local business community on Monday evening. Passionate residents were keen to see better road infrastructure in and around Crewe, more entertainment and leisure venues in the town centre and for the bus station to be vastly improved but not moved from the centre of the town. There was also desire from some resident to retain some of Crewe’s heritage in any redevelopment. People are being asked to fill in a questionnaire as part of the consultation and more than 500 of these have been completed online since the beginning of the month. Councillor Michael Jones, Leader of Cheshire East Council, said: “I have said before that Crewe is on the cusp of its most significant transformation ever – but it is important that we get it right. “We must not promise and then not deliver. This is the best chance Crewe has had for regeneration in 30 years. Mike Christelow, of Wistaston, who was one of more than 60 residents in attendance on Monday afternoon, said: “I think the Council’s intentions are very positive and make a real bold statement, which is exactly what Crewe needs. I think the delivery of these intentions will remain a very significant challenge. It won’t be a simple thing but it is what is needed. William Snook, of Edleston Road, added: “I’d like to see better access to Crewe by road and more nightlife attractions in the town for the younger generation to enjoy – as most are going to Nantwich, Chester and Manchester for a night out. People have until the end of July to take part in the consultation and there will be a further residents’ event at the Crewe YMCA, on Gresty Road, next Monday evening (July 20), from 6pm until 8pm. The event will take a slightly different format to Monday’s sessions in that there will be a presentation at around 6.15pm, followed by break-out group sessions to garner feedback. Attendees should register in advance by email at: amy.beasley@cheshireeast.gov.uk or call her on 01270 685705. Those attending will be able to pick up a questionnaire about the redevelopment of the town. The Council wants as many people as possible to fill it in, either on paper or online via the Council’s website at www.cheshireeast.gov.uk/crewetowncentre. Questionnaires can also be found in Crewe Municipal Buildings, Crewe Library, Delamere House, Edward Timpson’s office on Victoria Street, Rimini café on Queensway and Crewe Lyceum. All those completing the survey can enter a prize draw to win a VIP family ticket to the Hollywood Special Effects Show at Crewe Lyceum Theatre. Cheshire East Council has secured a second phase of funding thanks to its success in working with complex families. The Council has successfully transformed the lives of 585 families through support and intervention measures aimed at overcoming problems and challenges that have held them back. The Cheshire East programme, known as Family Focus, has brought about a significant reduction in youth crime and anti-social behaviour, improved school attendance and assisted many adults into employment. Louise Casey, the Government’s ‘Troubled Families’ Tzar met members of the various teams together with Council Leader Michael Jones during a recent visit and praised the council for its achievements. The Troubled Families programme was announced in 2012 with a national target of getting 120,000 families out of poverty, crime and other social and family issues that impact on their lives. The Cheshire East Family Focus team will now receive more funding to roll out a second phase of the programme, which is partly funded on a results basis and partly through grants. The Council expects to assist nearly two thousand families by 2020, and will continue its work with the police, DWP, health Services, social services, schools and social and private landlords. Council Leader Michael Jones said: “Supporting people into work, steering them away from crime and helping them to be less dependent on benefits has to be good for them and for our residents. “We are delighted that Louise Casey has shown faith in us to continue this programme. “After I was re-elected in May, I said publicly that I wanted to do more to tackle the adverse impact of social pressures and chaotic family life on young people. “Too many of our young people are carrying dark thoughts of self-harm triggered by low self-esteem and the Cheshire East family service programme that we have developed has made great strides in restoring proper life balances to so many people. In March, the Department for Communities and Local Government announced that since 2012 the Troubled Families programme had helped more than 105,600 families that had benefitted from the support they received from local authorities and the net saving to the taxpayer was in the order of £1.2billion. The programme is aimed at benefitting families that meet a number of criteria including lack of employment, domestic abuse, crime and anti-social behaviour, poor school attendance and children known to various agencies delivering early help services and social care. This malware encrypts files on the victim’s system and requests a ransom be paid in order for the files to be decrypted; one reported amount has been £330 worth of Bitcoins. Cheshire East Council leader Michael Jones today welcomed the Chancellor’s announcement relaxing planning rules on brownfield sites. In order to boost the country’s house-building programme, local authorities will be required to grant automatic planning consent to developers wishing to build on brownfield land. Brownfield sites are sites that have been previously developed before being left to stand idle such as a disused factory. Councillor Jones said: “I welcome this announcement by George Osborne as a policy to get many acres of waste land in our towns and cities turned into decent homes. “This will stifle the temptation for developers to attack the greenbelt with the excuse that building on the greenbelt is essential to meet housing supply targets. “Brownfield sites are not always attractive to developers because of the cost of clean up but hopefully the removal of planning red tape will provide them with the incentive they need. “I echo the statement by the Business Secretary that this will speed up schemes and preclude the need for building in the green belt and we in Cheshire East see ourselves as a vanguard of this new policy. “Here in Cheshire East we are under constant pressure to grant permissions on green belt and we want to protect the countryside on behalf of our residents. Cheshire East Council recently secured a £100,000 grant from the Department for Communities and Local Government to establish a local development order in Macclesfield where two brownfield sites will be cleaned up and prepared for development. Although 77 per cent of homes in the borough have been built on brown sites in the last five years, the Macclesfield area has failed to meet the Council’s aspirations for more brownfield development. Caroline Simpson, Cheshire East Council’s executive director of economic growth and prosperity said: ”Macclesfield is a good example of how this Council is encouraging brownfield development and in addition to this we are also offering grants to convert unused space above shops and commercial premises in the town centre to create living accommodation. Cheshire East has 181 brownfield sites currently under construction and a further 375 sites about to be developed giving a total of 3,696 new homes. Around 47 hectares of brown land has been identified as having development potential and the capacity for more than 1,400 new homes. Cheshire East Council has joined forces with partners as part of a crackdown on conmen. Working with the Citizens Advice Bureau (CAB) and the National Trading Standards Scams Team, the Council is urging all residents to report attempted scams in a campaign to raise awareness of con artists who obtain money and property from unsuspecting victims. According to statistics, less than five per cent of victims report their experience and so the Council’s trading standards officers and the CAB are urging all members of the public not to stay silent but to report any suspicions or activity. Older people and the vulnerable are the group most likely to fall prey to callous con artists, who will resort to any tactics. According to a recent Council report from trading standards one Cheshire East victim was conned out of £30,000. In Cheshire East, more than 500 residents were found to be on a list of potential victims after providing their details through surveys, online forms and catalogue orders. It is estimated the full potential financial risk could have been in the region of £1.4m. The Council’s trading standards team have been in contact with those named to impress upon them the risks of providing personal details to third parties. Today’s ‘scammers’ use more sophisticated methods including ‘vishing’ phone calls, in which they will convincingly impersonate bank staff or computer companies and persuade unsuspecting victims to reveal bank details and passwords. Job advertisements and offers for goods and services or competition prizes can also turn out to be scams, especially where individuals are asked to pay money up front. People should take their time to make a decision and get their facts together before parting with any money or personal details. Councillor Les Gilbert, Cheshire East Council cabinet member in charge of communities, said: “Scams and the con artists who practice them are despicable. “It is often older people, the frail and vulnerable who are most at risk from this abhorrent criminal practice, which appears to have grown in scale and become more sophisticated in the wake of digital technology, telephone banking and remote selling. “But the more traditional door-to-door conmen – and women -- are still out there, conning people into paying huge amounts of money for shoddy driveway and property repairs. Steph Cordon, Cheshire East Council’s head of communities said: “We are working with the Citizens Advice Bureau in this campaign and I appeal to all residents, particularly neighbours of older people living alone, to be vigilant and to report any suspicions they have of a potential scam. Scammers operate in all areas of everyday life and Cheshire East residents are advised to be cautious if asked to discuss their pension arrangements and plans, if they participate in online shopping and auctions, or online property searches. Investment fraud is another market to be infiltrated while debit and credit card fraud continues to be the most common. · Don’t be afraid to speak out. A voluntary group is calling on more people to join their drive to commemorate the First World War with thousands of knitted poppies. 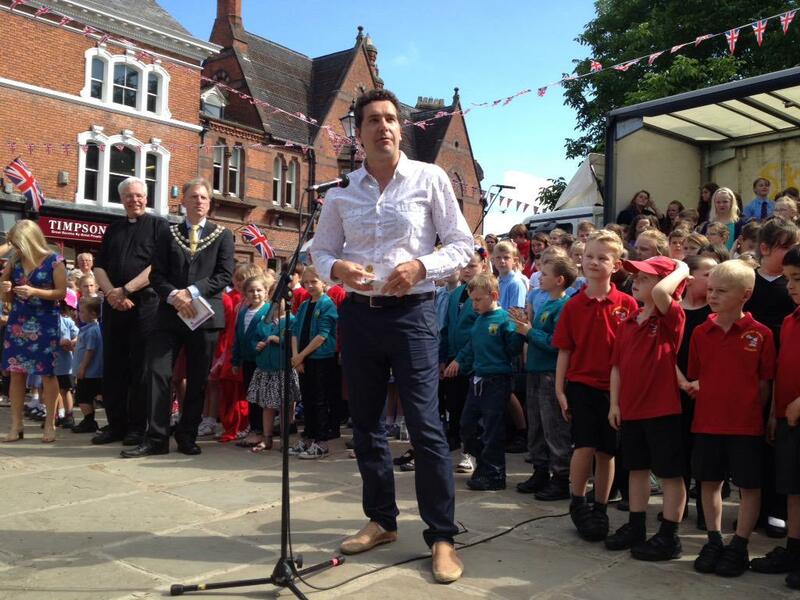 Crewe and Nantwich Senior Forum has made 450 so far – but needs 2,500 in time for Remembrance Sunday in November. The Poppy Explosion Project will decorate trees in Crewe’s Memorial Square to make the annual commemoration even more special this year. The project, part of Cheshire East Council’s Cheshire East Reflects programme, has received funding for wool, needles and other equipment from Crewe Town Council and the Freemasons’ Cheshire Provincial Mark Benevolent Fund. The senior forum, a community group set up for the over-50s, meets every Friday at the Union Street Baptist Church, between 10am and 12.30pm. Members are inviting church and friendship groups to pick up their needles to take part in the project, as well people in nursing homes private or supported living. Mr Lindop added: “We know there are some great knitters out there and this is a good reason for you to get involved in the comfort of your own home. Councillor Michael Jones, Leader of Cheshire East Council, said: “It will be wonderful to see Memorial Square dressed with thousands of poppies on Remembrance Sunday. For more information, please contact Adrian Lindop on: 07738 583874 or email adrianlindop@gmail.com. Cheshire East Council has welcomed the findings of the Competition and Markets Authority into the need to reform the UK’s consumer energy market. In its report (published Thursday July 9) the CMA is highly critical of the Big Six suppliers, accusing them of profiteering and harming large groups of customers through a combination of deliberate tactics,including fostering apathy and misconceptions. They are accused of a deliberate lack of transparency, confusing and innacurate bills and the perception of difficulties in changing providers. The Council recently launched its own energy tariff, Fairerpower in conjunction with award wining supplier OVO energy, with the intention of taking on the Big Six and reducing fuel poverty. After only three months over 2,000 customers are saving on average £220 which is more than the £160 average annual saving the CMA feels is achievable by most users. Fairerpower is also attracting customers from the 60 percent of people who have never switched. In addition, Fairerpower has also launched a Pay As You Go Tariff which is saving customers on average of £103 a year compared to the cheapest PAYG tariff. Cheshire Police and partner agencies will be holding our Annual fishing competition. It will take place on Thursday 27th August at Coole Acres Fishery Audlem. Registration is at 10am, the fishing will finish around 3pm with presentation to take place after. The event is open to any young person between the ages of 10 and 16. Refreshments will be provided during the day. JK Angling will be there on the day to assist those taking part. There have been several reports of vehicles being broken into and valuables taken from within the vehicles. Officers are appealing for any information. We are also advising residents and car owners to remove any items of value from within the vehicles. Most crime is opportunist and so is preventable with a little common sense and some basic precautions. Parking – park somewhere safe, for example: your garage, a well–lit, busy street or a car park displaying the 'Park Mark' logo of the ACPO Safer Parking Scheme. Reduce theft – set the alarm/immobiliser and fit a physical deterrent such as a steering wheel clamp. Valuable items – keep valuable items out of sight, for example; Sat Navs, mobile phones, CDs, stereos etc. All of these items attract thieves. Locking the car – whenever you leave the car, close all the windows and lock the doors, even at petrol stations. Car keys – take them with you whenever you get out of the car, and don't leave them on display at home. Remember thieves do break into houses to steal car keys. Documents – never leave valuable documents in your car.